Being cited as the largest city to ever seek bankruptcy protection, Stockton, California is playing its final hand in order to turn its future around. The City Council met early on Tuesday- with a standing room only audience of residents- in order to stop bond payments while also making deep cuts in employee health and retirement benefits. It also adopted what it’s referring to as a “day to day survival budget”. The city’s manger, Bob Deis, said “it feels like cutting an arm off” as he prepared to officially file the papers on Wednesday. Had the state not passed a law that requires municipalities to enter into mediation before considering bankruptcy protection, the city would have filed months ago. It entered into negotiations in late March with its 18 creditors; however, it was, for all intents and purposes, too late. No one was surprised when the announcement came that bankruptcy was its last option and one it had to take. In what’s now being called “Death by a thousand meetings”, city officials had attended “torturous and tedious meetings” before finally making the announcement that the talks were officially over as of midnight on Monday. One city resident who attended Tuesday’s meeting, which began early, told the local newspaper, “It’s a seminal moment in this city’s history and I needed to be here.” Dwight Williams oversees a nonprofit housing organization in Stockton. He continued by saying he couldn’t read about it in the paper, he needed to “hear for myself if there is some inkling as to where we go from here”. Other residents said it was quiet and solemn in city hall as the decision was announced. Like other cities around the nation, Stockton has taken big hits due to falling housing prices, foreclosures and the retirement pensions, along with the growing costs associated with its many buildings. This especially has some residents concerned. A new hockey arena that was paid for by taxpayer-guaranteed bonds has some residents especially concerned. Wells Fargo has already repossessed a downtown building bought in 2007 for $40 million in order to build a new city hall. The biggest plea during the hearing was for board members to find a way to keep both health insurance and and retirement benefits. Many spoke of family members who were too ill to attend, but who relied heavily on their health insurance, which, in one fell swoop, is gone. People look at me and say, ‘Well he can afford his own insurance,’ and I can, but how about the ones who mowed the lawns, went in the sewers, typed my letters? We have to protect the most vulnerable among us. That’s the million dollar question – but it’s not the only one being asked with no answers. One consideration is how the bankruptcy will affect the state as a whole. No one is sure what will ultimately become of the city that’s home to 300,000. With access to no credit, many are fearful that their daily lives will be affected in ways no one’s considered. Stockton is not the first city to file for bankruptcy protection, even if it is the largest. To a visitor, the city looks as though it’s flourishing. Along with the new hockey arena, there also exists a massive new hotel and other city additions that some residents are saying were unnecessary and had it been their own personal budgets, they would never have splurged on such luxury if they knew they had financial obligations to meet. The fact that the city tried for three months to negotiate with creditors could work in its favor in terms of a smoother Chapter 9 filing. 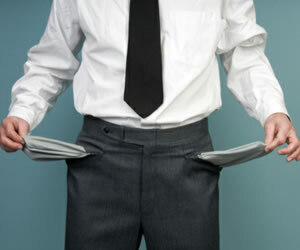 Generally, these types of bankruptcies can last for extended periods of time. Even if there exists disagreement in some key areas, everyone agrees the sooner it’s over, the better. The problem, though, is historically, cities that take such drastic measures often lose residents in the process. This could burden the city’s tax rolls further. The city has made $90 million in cuts from its general fund in the past thirty-six months. Among those cuts was the police department’s size by 25%. The fire department received a 30% cut and all city employees took pay cuts. Now, though, an investigation has been opened to ensure there’s been no corruption such as embezzlement. Interestingly, California law requires blame assignment. Stockton has the most good, solid, down-to-earth people you’ll ever meet. And now things are going to get even harder for many of them.